All the taste and nutrition of a tall glass of milk, without the glass. 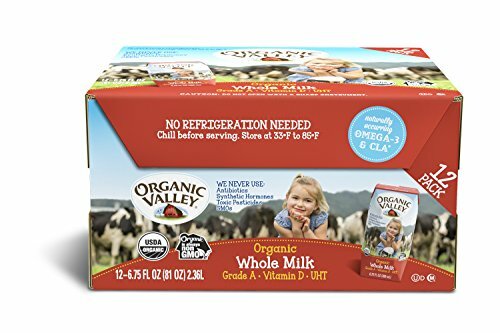 Organic Valley’s single-serve white whole milk is the only organic whole milk milk-box available! Revolutionary packaging! Whether your kids are enjoying a mid-morning snack and washing down a peanut butter sandwich at lunch, Organic Valley milk boxes make it easy to enjoy a delicious organic treat. Each milk box is packed with vitamins, 7 grams of protein and nothing but organic goodness on the inside!